THE PICKIEST EATER IN THE WORLD: THE ANCHOR MAPLE MYSTERY DINNER.. AT LOLO DAD'S! 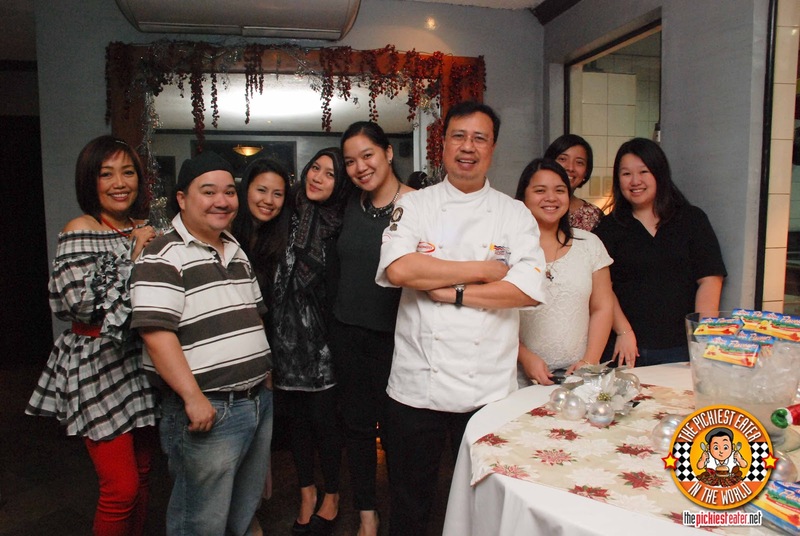 THE ANCHOR MAPLE MYSTERY DINNER.. AT LOLO DAD'S! 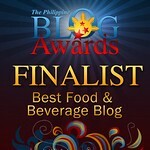 As a blogger, I’ve gotten a number of invites to try different restaurants and cuisines. However, as a self-proclaimed “Picky Eater”, I’m a bit selective about the places that I choose to accept. That’s why I was put in a little bit of a quandary when I received an invitation from Anchor Butter to attend a dinner that they were hosting. Being a lover of all things butter, not to mention a big fan of Anchor Butter in particular (I actually have a pack of their Spreadable Butter in my refrigerator as we speak), you would think that I wouldn’t think twice about going to one of their hosted dinners. But this was a dinner unlike any other. You see my friends, this was a Mystery Dinner. My biggest fear was that we would go to a vegetarian restaurant and I would be forced to eat green stuff all night, and be forced to do it with a smile on my face. But something deep down inside of me told me that Anchor Butter wouldn’t go out of its way to hold a dinner for people and relegate themselves solely to vegetable dishes.. So I decided to go with my gut and accept their gracious invitation. When I reached the Nuffnang office, which was the meeting place for the Mystery Dinner, I was surprised to find out that any details regarding our dinner would STILL not be divulged! Apparently, all would be revealed when we get to the restaurant. 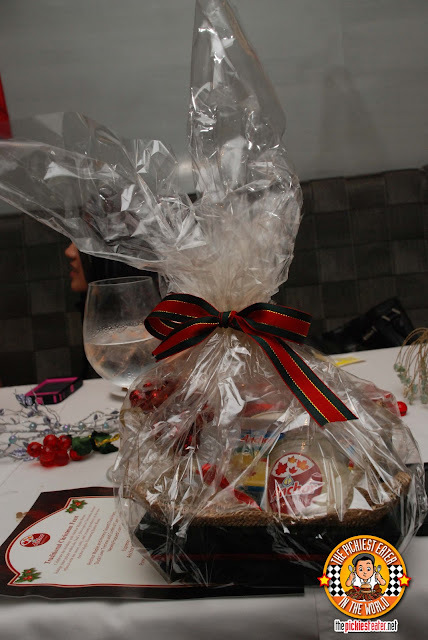 So I, along with bloggers Frannywanny, Jane of Between Bites, Momblogger, and OC Mom in Manila, boarded the van and braved the holiday traffic as we headed off into the great unknown. Joining us in the ride to the secret location were Anny Tamayo and Pickles Valino of Anchor, and Jermae of Mediacom, who seemed to be there for torture purposes. These women could seriously be used to deliver information in a time of war. No amount of prying could get them to spill the beans on what they had in store for us that evening. As we neared our destination, Franny took all the “clues” into account, the most glaring was the location of the restaurant, and took a wild guess on where we would be going.. And hit the nail right on the head. This was the night I was finally going to eat at the legendary Lolo Dad’s. I’m going to go out on a limb here and say that this restaurant is perhaps on every Filipino food lover’s list.. And if it isn’t, it should be. I haven’t been able to visit here yet, but it has definitely been a huge blinking blip on my radar, even before I began my blog. My group was ushered to our table, and it was finally explained to us that the dinner was hosted by Anchor Butter, in promotion of their newest product, Anchor Maple Butter. 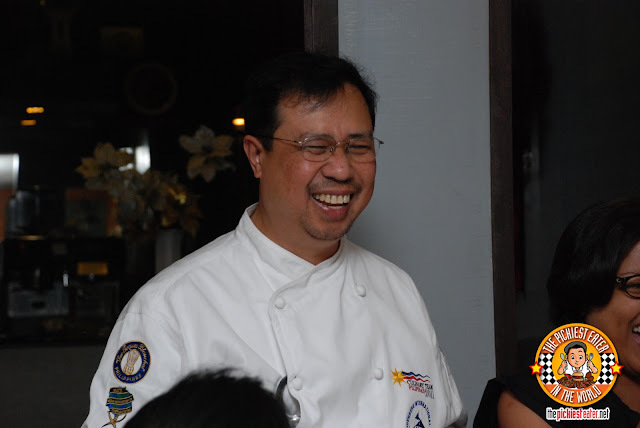 In a masterstroke move, Anchor enlisted the aid of culinary legend & owner of Lolo Dad’s Cafe, Chef Ariel Manuel, to show that Maple Butter isn’t just for Pancakes, and had a versatility that could further enhance just about any dish. 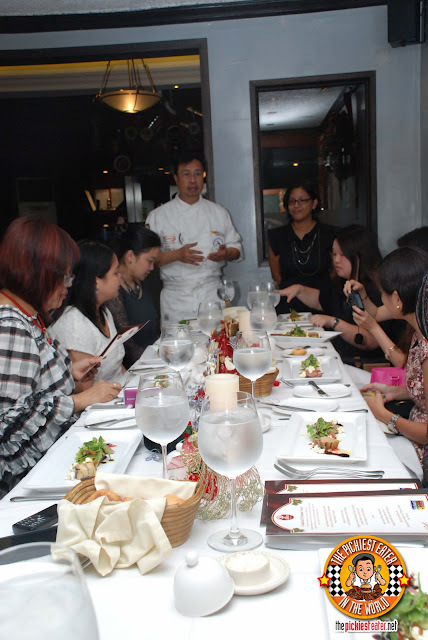 Listening to Chef Ariel speak, you wouldn’t think that he is among the great Master Chefs of the Philippines. The man is incredibly down to Earth, and you get the sense that the passion in his voice when he speaks about cooking is still the same from the very first time he lit up a stove. His enthusiasm was even more evident when he told us about his experiences when he was experimenting with the Anchor Maple Butter. 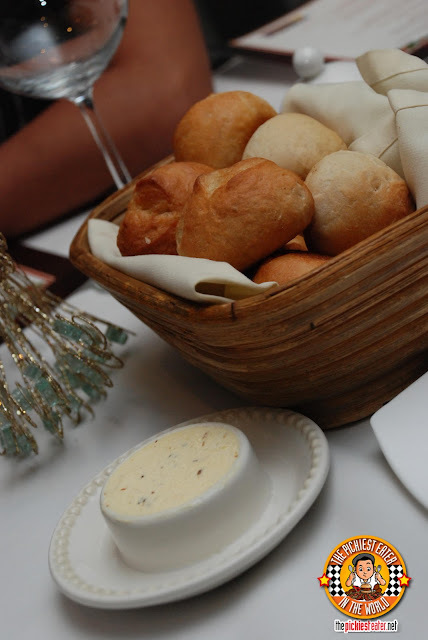 As we were waiting for the first course to arrive, I decided to help myself to some rolls and butter. I was told Lolo Dad’s bakes their own bread, so I was eager to give it a try. I slathered the butter all over the steaming inside of the roll, and took a bite and promptly had my mind blown away. More than the bread (which was excellent, by the way), I discovered that this was no ordinary butter. Considering that this dinner was to showcase the versatility of Anchor’s Maple Butter, I had no reason to be surprised that it’s what they used, however, what I didn’t foresee was how magnificently it blended with roasted garlic. The Maple Butter with Roasted Garlic had a distinct sweetness that just went perfectly with the roasted garlic. It was in deference to my fellow bloggers that I didn’t bury my face into the butter bowl and devour it completely. 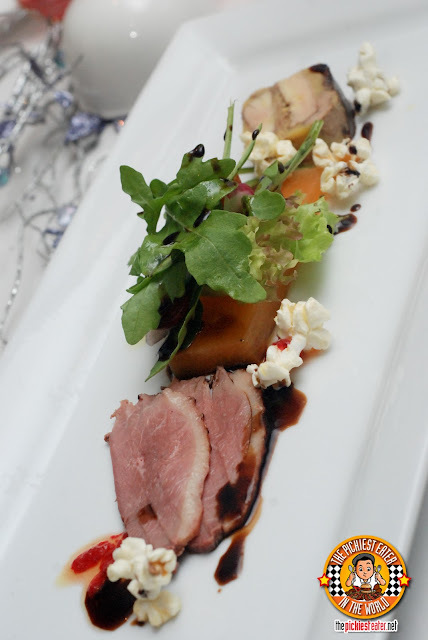 The first course that arrived was the Anchor Maple and Honey Glazed Duck Ham with Duck Liver Terrine and Confit of Cantaloupe and Newly Popped Corn Salad. I started off with the Ham, which was the part of the dish with Anchor Maple Butter. The duck Ham had a smoothness in its innate smokey flavor that I believe was brought about by the Maple butter, and it was fantastic. I normally don’t eat Duck Liver, but I’m not going to be the guy that turns down a dish from Chef Ariel Manuel, so I gave it a try, with pleasantly surprising results. I ate it together with the cantaloupe Confit and the bits of Popcorn, and it was actually quite buttery in itself as well. 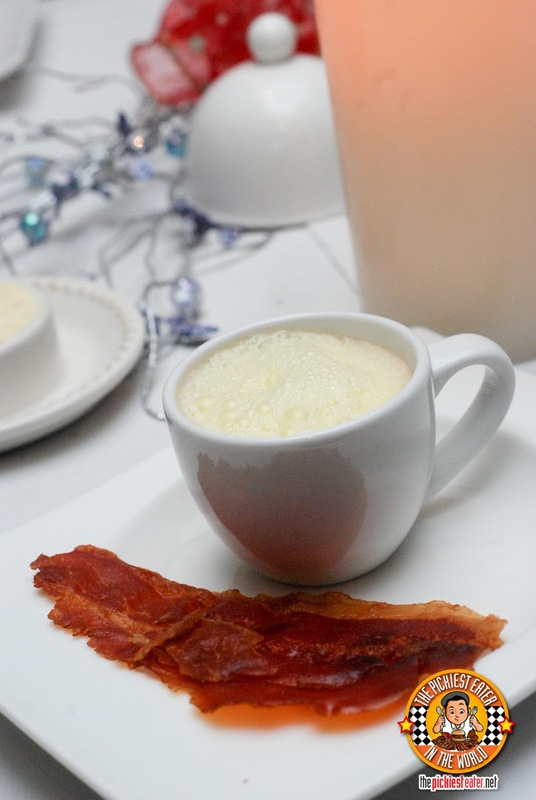 The second course was the rather unique Espresso of Chestnut Soup, with Anchor Maple Foam and Ham Flakes. I’m not a coffee drinker, but if Starbucks made something similar to this Espresso of Chestnut soup, you could count me in as a convert. The Ham Flakes had a strong saltiness to it that was tempered by the creaminess of the soup, particularly the Maple Foam, which served as the dishes’ glue that brought everything together. 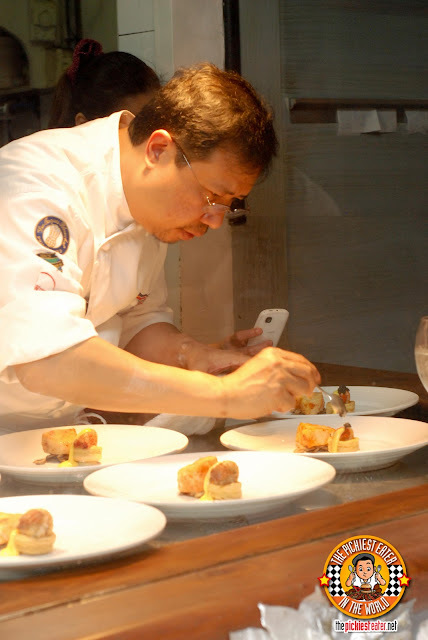 While waiting for the next course to arrive, I got curious to see if Chef Manuel was hands on with his dishes, so I took a little peek at Lolo Dad’s open kitchen. I was impressed to see that the answer was a resounding yes, as it was Chef Ariel himself that was plating our dishes. It was really quite a sight to see the master in action! 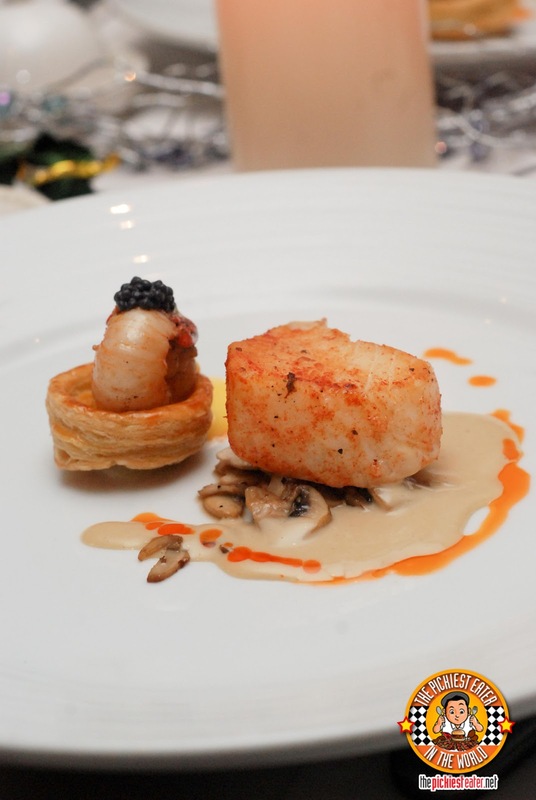 The next dish we tried was the Pimenton Infused Oil Poached Fillet of Seabass, with Sauteed Lobster Vol-Au-Vent with Anchor Maple Butter & Caviar Sabayon. Despite the fact that I had no clue what half of the words in the name of the dish meant, I was more than willing to give it a try. Though I am a picky eater, I do eat fish, and Sea Bass is among my favourites. The pimenton infused oil, which Chef explained is actually a Spanish Paprika, gave the fish a beautiful touch of orange color. The fish itself was cooked immaculately, and the meat melted in my mouth with every bite. The fish was perched on top of a bed of Creamy Sabayon and mushrooms, which further brought out the flavour of the fish. The Sauteed Lobster Vol-au-vent was actually a revelation for me. I normally don’t eat lobster because of a bad experience I had as a child, but I am a fan of anything in puff pastry, so I thought I’d give this a whirl. Something I noticed about Lobster, especially when cooked right, is how incredibly buttery it can be. Imagine how much more pronounced the flavour could be when cooked with Anchor Butter? As you would expect, the result was phenomenal. 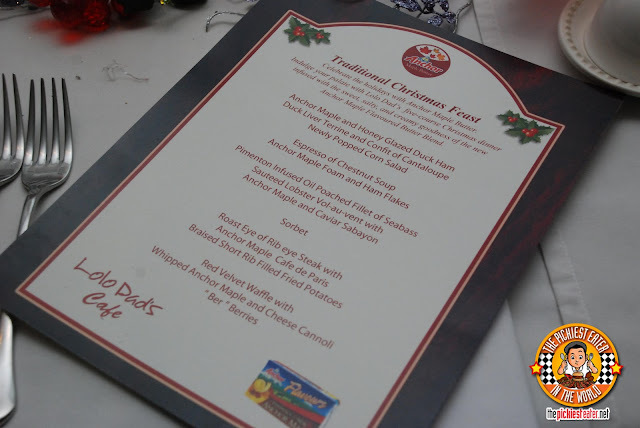 After demolishing my plate of seafood, it was time to cleanse our palates, and the Calamansi Sorbet sure did the trick. 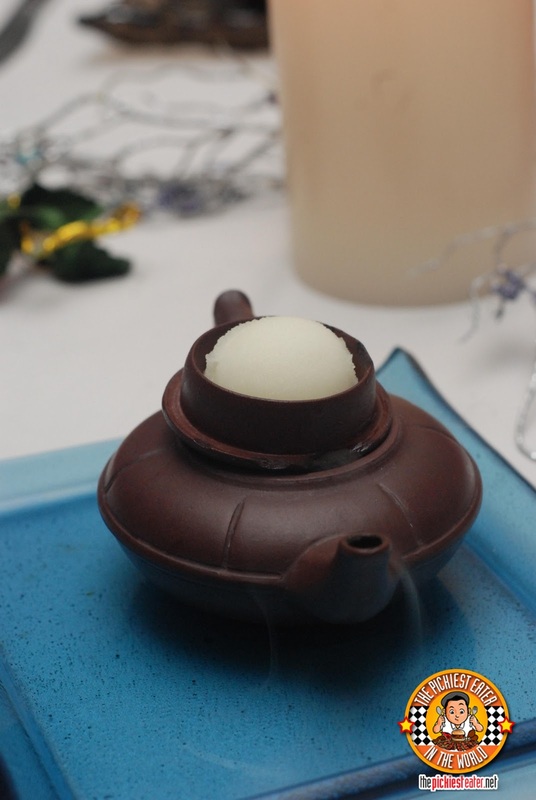 This was a simple sorbet but presented in a beautiful teapot looking bowl, which had the spout emitting smoke. The taste of the sorbet brought me back to my childhood, as I absolutely loved calamansi juice, and refreshed my taste buds, getting me ready for the next dish. And what a dish it was. In my eyes, the Roast Eye of Rib Eye Steak With Anchor Maple Cafe De Paris with Braised Short Rib Filled Fried Potatoes was the crown jewel of the evening. The cut of the steak was unlike any other I had ever seen, but the gorgeous sear on it was undeniable. And watching the Anchor Maple Cafe De Paris Butter on top of the steak, slowly melt and sink into the meat was a glorious sight to behold. The tenderness of the meat, infused with a light sweetness by the maple butter. To this very day, i’m not ashamed to admit that I have dreams about that steak. I’m the ultimate meat and potatoes guy, which is why I was excited to try the Braised Short Rib Filled Fried Potatoes that served as a side dish to the Rib Eye Steak. And when they said it was “filled”, they meant it! 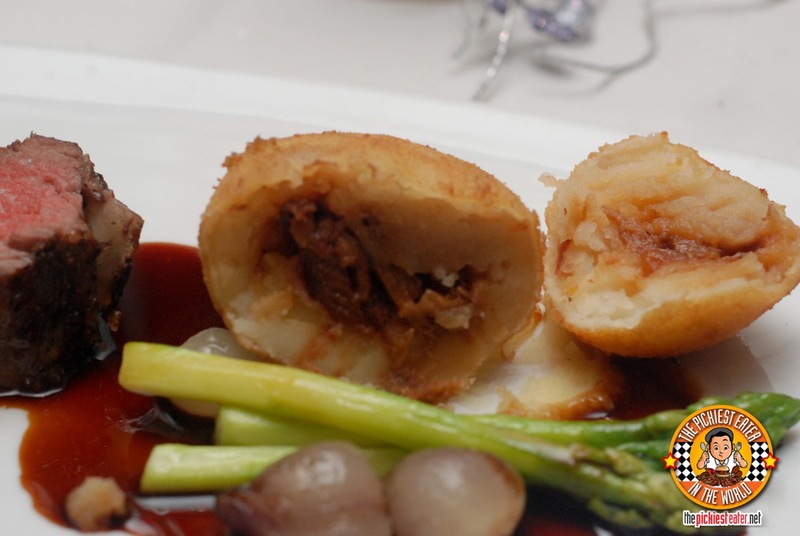 The ball was packed with delicious short rib that had a delicious savory flavour, all wrapped in a buttery mound of mashed potato, and deep fried to give it a stunning outer crust. A fitting finale to the evening’s meal was the Red Velvet Waffle with Whipped Anchor Maple Butter and Cheese Cannoli and “Ber” Berries for dessert. The plating looked so stunning, I was considering taking it and making it a decor in my home, but my stomach wouldn’t have forgiven me. I started with the Cannoli, which had a superb blend of sweetness from the Maple Butter, while retaining the light sharpness of the cheese filling. The soft Red velvet waffle had a touch of tartness that, again, went perfectly with the whipped Anchor Maple butter, and was complimented even further by the freshness of the berries. 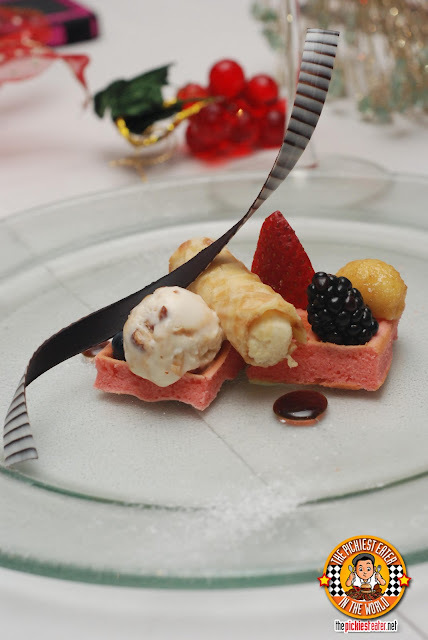 Pardon the pun, but this dessert was the proverbial “Berry on top” of a memorable meal. Every dish served to me that night was nothing short of exceptional, but I couldn’t help but keep dreaming of the rolls and the whipped Anchor Maple Butter with roasted garlic that I had to start the meal. When we were given a gift basket by the good people from Anchor, I nearly did a quadruple backflip when I found out that Chef Ariel included a jar of his scrumptious concoction in it! If you had asked me how I would use the Anchor Maple Butter before this dinner, I would have told you, “On pancakes or with toasted bread”. I was really impressed with the dynamic range of flavours that the Anchor Maple Butter displayed with every dish I tasted. The butter seemed to work differently with every course brought to us, but the results were always amazing. I have just added yet another must have item to my grocery list! 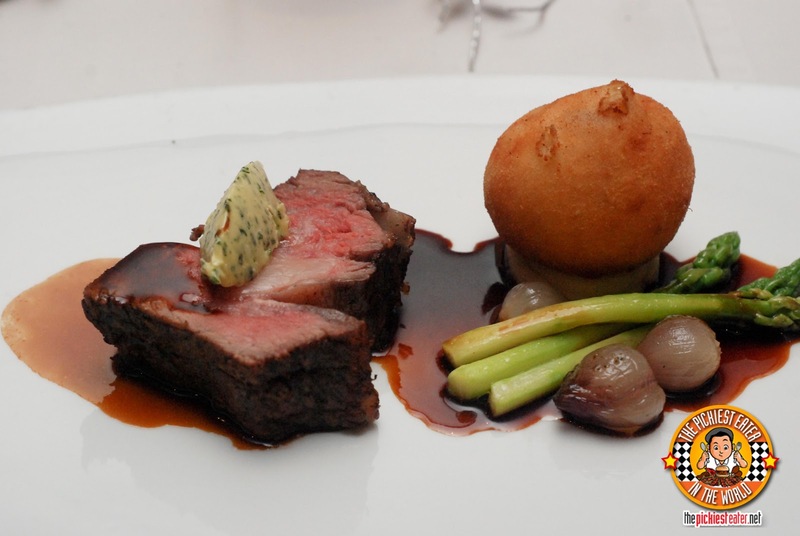 Trying not to drool at the sight of the Rib Eye Steak.. gosh. See you around Rich! Cheers! Anyway, drooling over everything you've had! 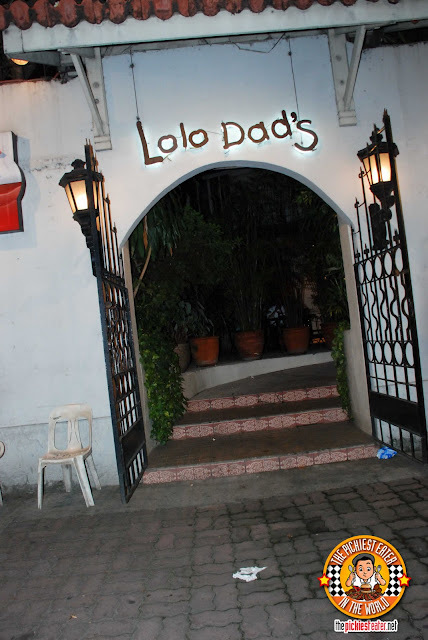 I've only been to Lolo Dad's once, but I'm dying to go back. Even their rolls are already heavenly! THE PICKIEST EATER'S GREAT BIRTHDAY GIVEAWAY!